Dragonfly Therapy participates with many insurance providers and networks. For your convenience, we can verify insurance benefits prior to the start of therapy and offer you a written summary, including your deductible, coinsurance and copay information. After each visit, we submit billing on your behalf to your insurance provider. We accept Medicare Part B, most commercial insurances, and worker’s compensation. For specific questions please call our office at (207) 433-7778. This is not a complete list. Dragonfly Therapy is here to assist you with your billing questions. Your satisfaction is our top priority. For payment and insurance questions please call (207) 433-7778. 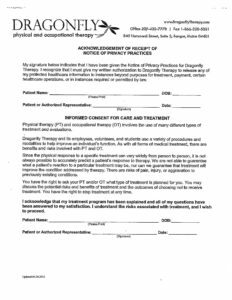 Have questions about what therapy is, how to get started, how insurance/billing works, and what your appointments will include? Rest assured, we’ll help you through every step of the process. The following are answers to frequently asked questions. If you have additional questions, please don’t hesitate to contact us.